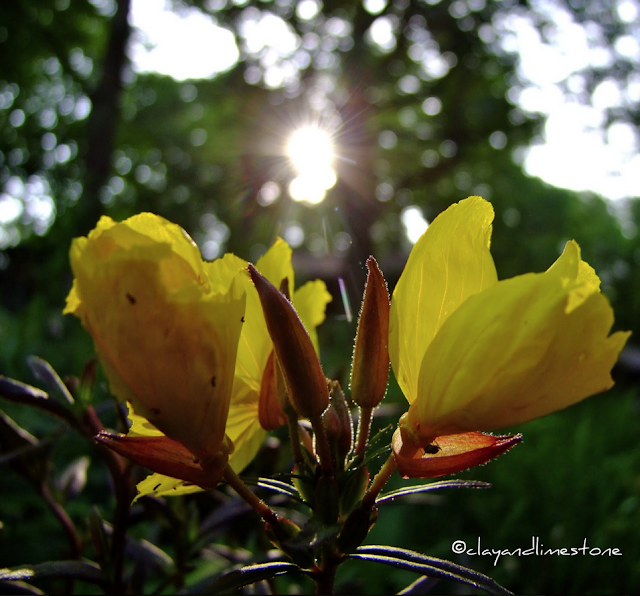 Welcome to Clay and Limestone's Wildflower Wednesday roundup of wildflower beauties! I've loved sharing wildflowers with you all year long and each December I gather them in one post so we can savor their deliciousness in one setting. This charming native Anemone can be found in dry rocky areas, on wooded slopes and in open woodlands across Canada and the eastern US (Zone 3 to 8). 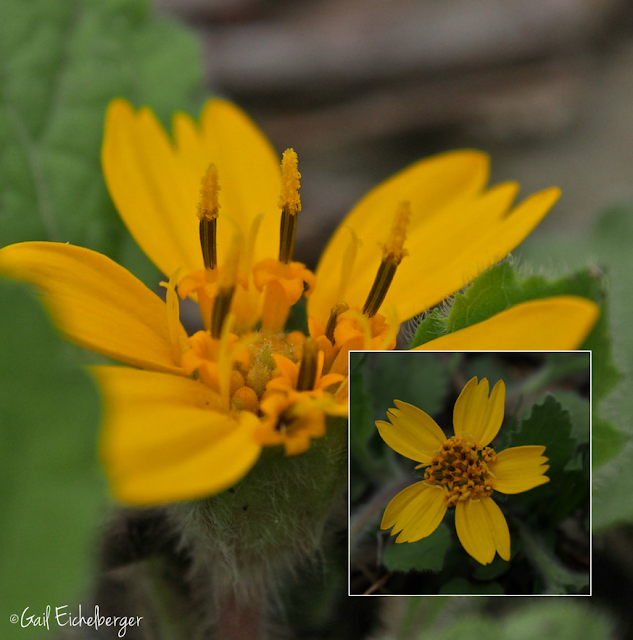 It blooms late spring to early summer and has small green-white flowers atop tall stems. It will tolerate full sun to light shade. While it is drought tolerant that does not mean xeric. To be happiest it needs well drained and moist soil. Although, it's not a super high wildlife value plant, it attracts small bees, hoverflies and it has been said that birds eat the seeds. Not a deer or mammal food. Expect to be charmed by the flowers, but, astonished by the thimble-shaped seed heads that remain intact from fall through late winter and sometimes into the spring. Now that's talking about year round interest. Yes, there are pluses to greenbrier. It has very good wildlife value. Just make sure it's not near where people will be walking or working and let it grow. It will make a formidable thicket where mammals and birds can shelter and the Gray catbird will nest. White-tailed Deer, Beaver, and Eastern Cottontail will eat the leaves. The flowers of Greenbrier are pollinated by Blue Bottle Flies. Many animals eat the berries, including: Wild Turkey, Wood Duck, Northern Cardinal, Gray Catbird, Common Crow, Northern Mockingbird, American Robin, Brown Thrasher, Cedar Waxwing, Pileated Woodpecker, Virginia Opossum, Raccoon, and Eastern Gray Squirrel. Green and Gold is a charming, little native Asteraceae ground-cover with semi-evergreen foliage and golden flowers. You'll find it happiest in woodland gardens that have good drainage and base soil. 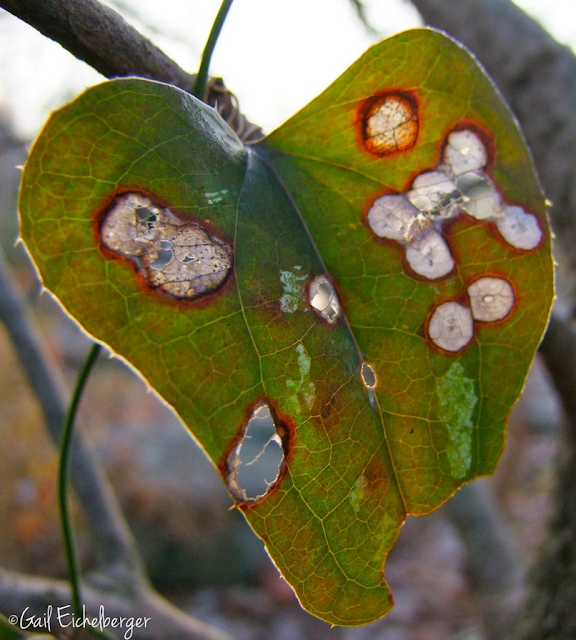 Naturally occurring plants are found in bright filtered light along forest edges and clearings. Expect it to be vigorous, it is after all a ground cover. 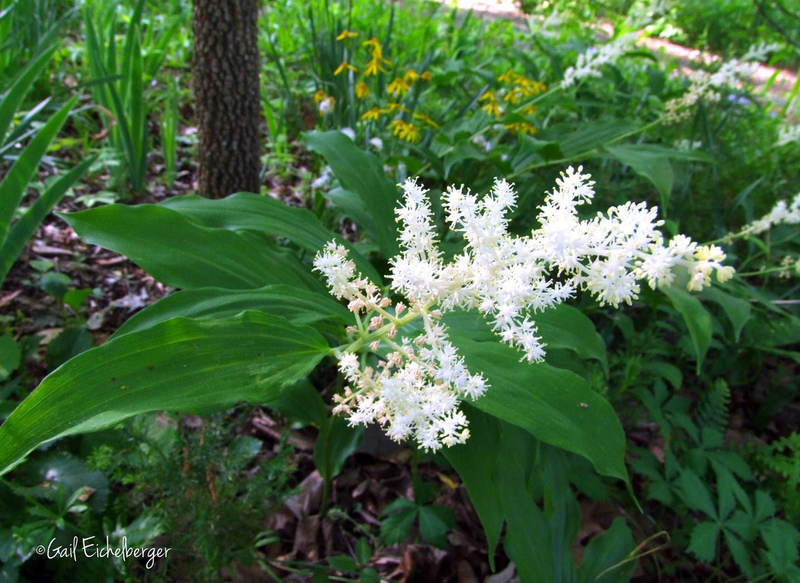 False Solomon's Seal is a colonizer that spreads very slowly, so gardeners, we don't have to worry that it will crowd out our beloved Spring ephemerals like other colonizing natives have been known to do. I find it makes a charming ground cover beneath understory trees in a woodland garden. In my garden it mingles with Golden ragwort, Christmas ferns and Purple phacelia. It likes rich, loamy woodland soil, but, is tolerant of both moist and dry conditions. 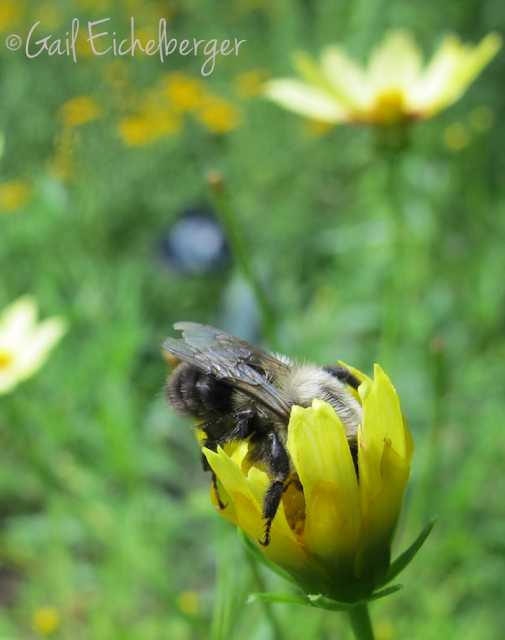 As a wildflower loving, native plant fan who gardens for wildlife, the plants in my garden need to be more than just pretty faces, they must be helpful for the critters that visit and live here. The Wildflower Wednesday stars of the month fit that description to a T~they have pretty faces and great wildlife value. The first thing I do when anyone asks me what they should plant in their garden is to share my gardening for wildlife gardening philosophy, then, I say this: "It's your garden, you can plant what ever you want, but, please remember to plan for all the critters that live and visit your garden." I tell them that they will never be sorry! 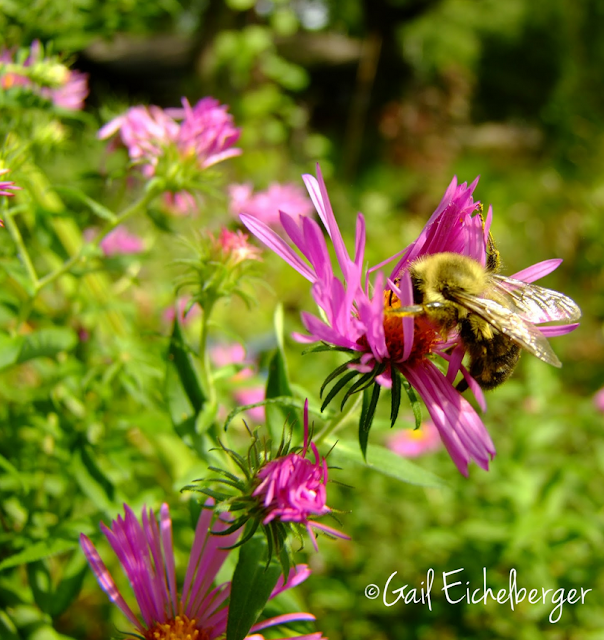 Pollinators will thank them by hanging around pollinating flowers and vegetables/fruits; beneficial insects will raise offspring that will gobble up harmful insects; and that the songbirds and spiders will keep the insects in check. The more you plan and plant for critters...crawling, flying and even digging ones, the healthier and more diverse your garden will be. 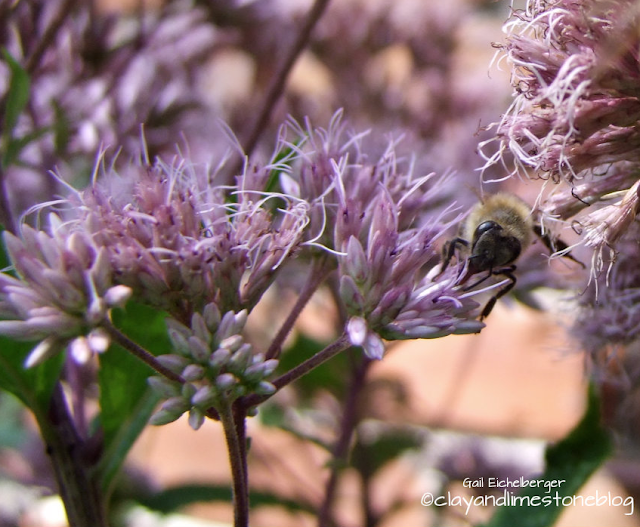 Eutrochium are big, beautiful rough and tumble wildflowers that bloom in the middle of our hot, humid summers. Colossal, bodacious, statuesque, and tough are just a few of words I've heard gardeners use to describe one of my favorite summer pollinator magnets. They are a quintessential Clay and Limestone rough and tumble wildflower and only require a little special care! They do need to be well established (watered in well the first year) to handle a hot, dry summer and even then a planting might need a big gulp of water once a week. I admit, the straight species is tall and can fall over in a heavy rain (we have those in the Middle South) and the foliage is often described as coarse; but, tall plants like the Joes can be cut back to keep them bushy. Their leaves and deep colored stems are assets in my garden, offering contrast and texture next to the small leaved Echinaceas, Coreopsis, Rudbeckias and Phlox. Welcome to Clay and Limestone on a hot, humid sunny August day! I have a deep appreciate for all the Rudbeckias and find the intense golden yellows not only attractive, but important additions to our garden. They bloom from late summer to frost, their saturated warm colors don't get washed out by our intense summer sun; they're easy to grow; they look fantastic with other late blooming rough and tumble wildflowers; they're excellent cut flowers; and, are important food and nectar source for wildlife. 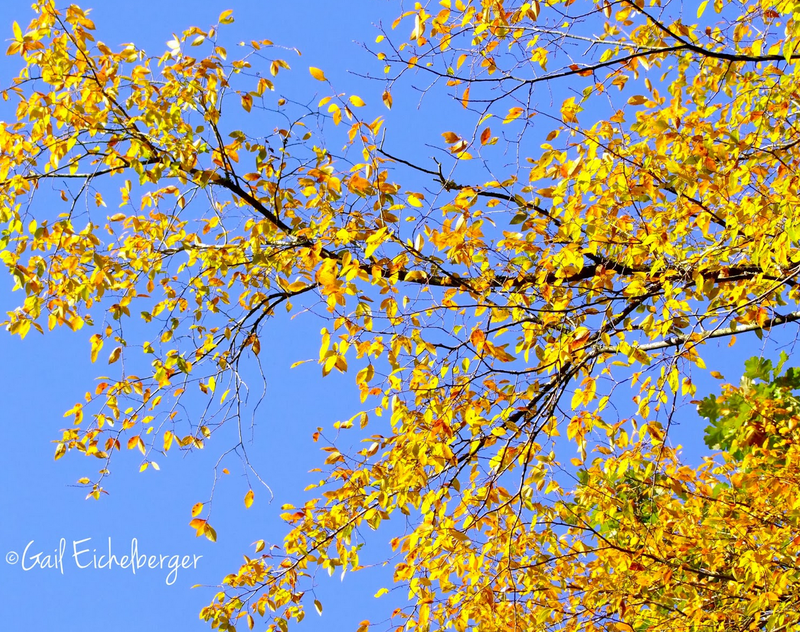 They are considered a valuable late season nectar source for migrating monarchs. They bloom spring and summer here, but, come September they take center stage for all the pollinators, birds and mammals that are preparing for winter. They may even be my favorite flower family....and what a flowering family it is with over 23,000 recognized species world wide. Here in Tennessee we have 320 to choose among, many of which we will only see if we look for them as we walk trails in wilderness areas or nature preserves. Many of the Asteraceaes that I love can be found in old fields, prairie remnants and along the roadsides; plants that until recently have been thought of as weeds. You've probably heard folks refer to these flowering plants as composites. Sunflower family is another name I've seen used. When plants are classified in a family it's because they have a similar genetic makeup and similar characteristics. Most Asteraceas have characteristics that make identifying them easier. For instance, if you look closely at any of the flowers in this post, you will see that what looks like one single flower is actually a composite of many smaller tube shaped florets. They have disk flowers, ray flowers or a combination of disks and rays. They also have bracts rather than sepals and they need wind or animals to disperse their seeds. Most of the Asteraceas in my garden are rough and tumble, take care of themselves beauties that fill an important role in a garden ecosystem. Each one of these darlings provides more pollen and nectar return on investment than many other flowers combined. I am a keeper of bees, but, not a beekeeper. 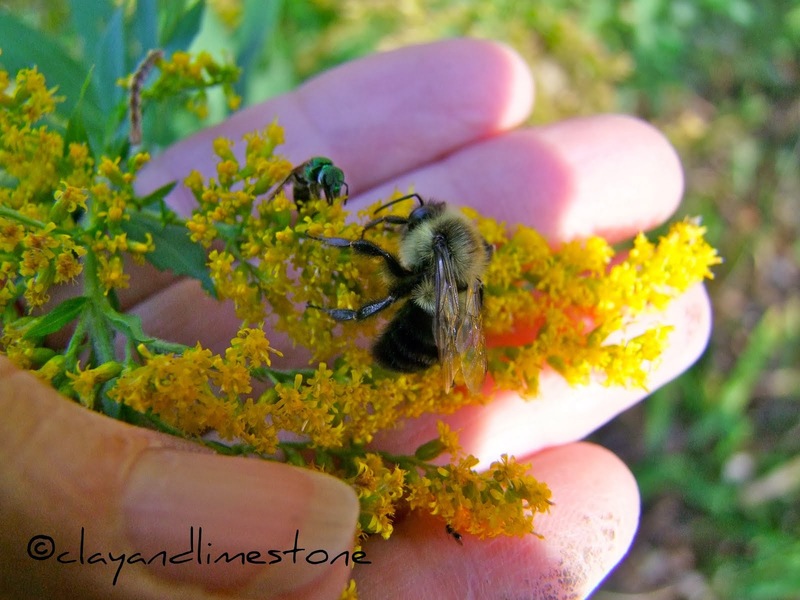 Providing a healthy habitat for native bees and other pollinators has been important to me since that long ago Autumn day I noticed that the garden was filled with buzzing critters. 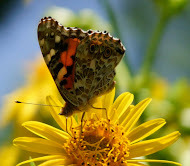 They were nectaring on the ex-asters that lived on the edges of the yard tucked under the shrubs. I had forgotten all about them while I struggled to grow plants that made no sense for this shallow soil. The plants were alive with activity and there were bumbles of every size, flies that looked like bees and wasps and beetles climbing all over each other. 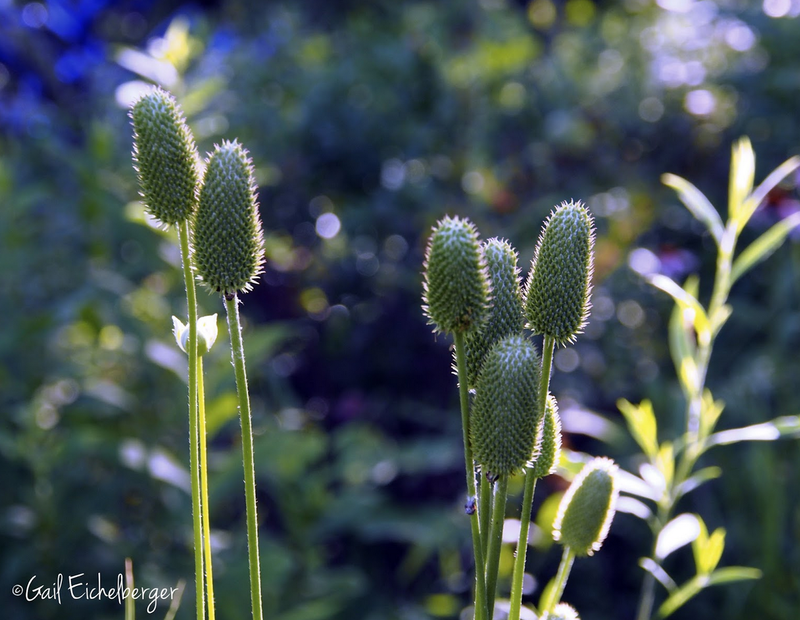 It was a native plant wake up call and it didn't take me long to fall head over heals for the critters and the wildflowers that brought them to the garden. In the drama of a wildflower garden there are no bit players. The canopy, the understory, the herbacious layer and the ground cover are all part of a diverse ensemble. All the players are essential; all provide food, nesting and shelter for mammals and birds; they're host plants for a variety of insects that are a primary food source for birds, bats, small mammals, amphibians and even other insects that you want in your garden. Supporting players are essential if you want to garden for wildlife and that's what my garden is all about. It doesn't hurt that they are all darn good looking for most of the year. I wish I had a post but my hiatus from blogging continues. But I'll be back hopefully with some wildflowers posts....I miss my wildflowers and they rest under the snow but many seedheads are happily giving to wildlife this winter....hope you have a wonderful holiday season and Happy New Year Gail! Fun to see all these wildflowers while they are all asleep this winter. 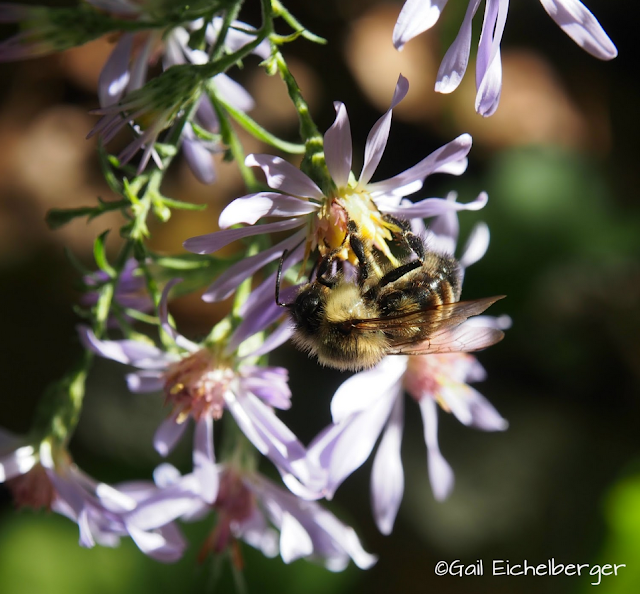 Thank you for continuing to promote wildflowers and supporting the pollinators, Gail. Over the years you have introduced me to so many plants I wasn't familiar with before. Though I love my lilies and hydrangeas, more and more natives have found their way into my garden, thanks to you. Thank you for this beautiful and cheerful end of year post. Though it's winter, I'm already beginning to dream about what to plant next spring and ordering some seeds for my first go at cold moist stratification. Your flower pictures are adding to the excitement! Ah, so many beautiful photos! I'm sowing some Anemone virginiana seeds this winter, so hopefully I'll be able to enjoy this wildflower next year and in more years ahead. I had poor luck with green-and-gold, but perhaps I should try it again someday. I'd love to grow Rudbeckia laciniata, but was under the impression that it cannot tolerate drought and needs consistently moist/wet soil. Is that your experience? If it can handle winter-wet and summer-dry, then I'll add some next year! Lovely, Gail. I adore the False Solomon Seal - I also have the variegated and wild one here in the mountains. I'm ready for spring already! Your post brightened my dreary day! I've always wanted some Joes. Do you purchase them or participate in a roadside rescue? In early December I heard Doug Tallamy speak. I had read his book Bringing Nature Home but somehow listening to him made me understand as I hadn't before that trees provide a lot of food for insects, especially caterpillars. And caterpillars are what birds feed their young. 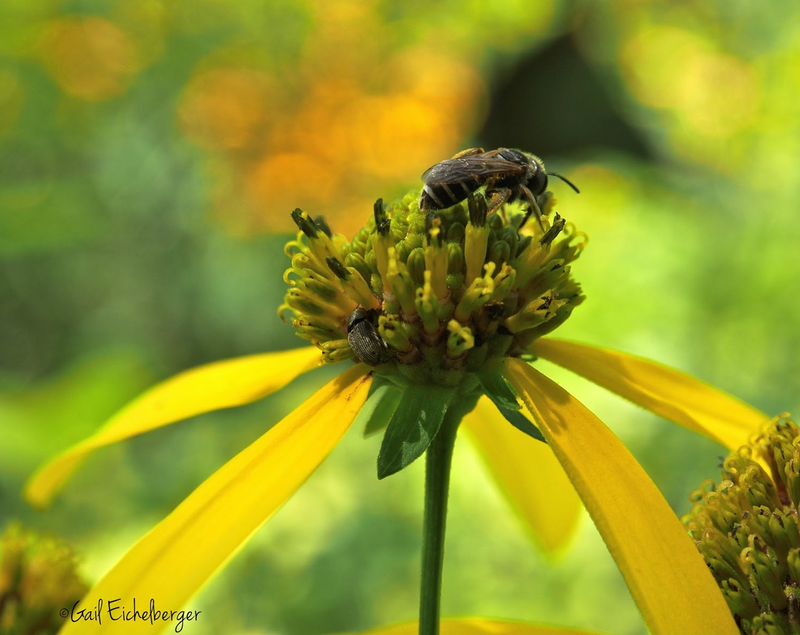 We often don't see the flowers of our biggest trees, but they help pollinators, too! I planted a Nuxia tree, for the caterpillars, for the Cape robin. Just lovely Gail! You make a compelling case for growing wildflowers. Gail - Your wildflower blog has been an inspiration to me ever since I discovered it some years ago - and has been a companion as we have concentrated on native plants in our new much smaller backyard garden. Hi, Gail. So glad I could drop by now and catch your year-end round-up (the good kind). Love the elongated seed heads on that Anemone virginiana, so I'll be looking into it. You'll be glad to hear that one of my resolves for 2017 is to increase my garden's native plant quotient. If I can ask a small favour: Would you mind updating the link in your blog roll to our new URL: www.torontogardens.com -- Cheers and thanks!